The macho goat shown here goes by the name of Alegre. 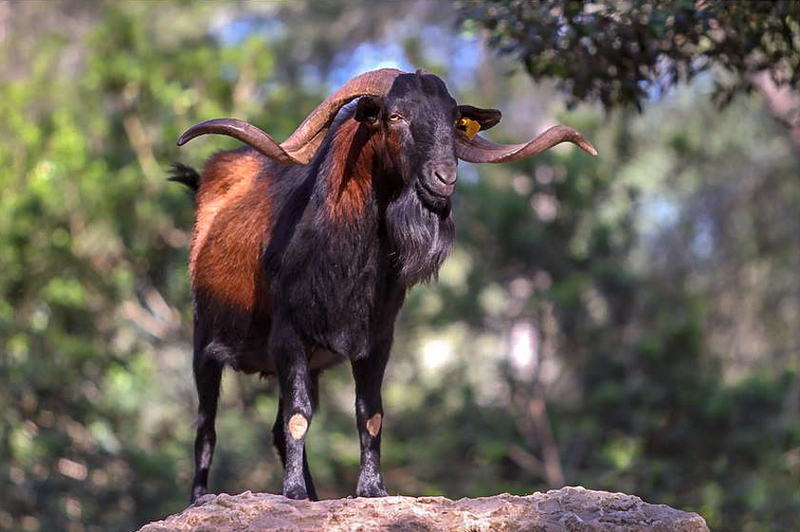 He is a beautiful Boc Mallorquín of pure stock who was entered in a Morphology competition of autochthonous Mallorcan goats in 2009 where he won the championship for the beauty of his horns with a span of 94 cm. The photo was taken by guest photographer, John Hinde. Thank you very much.